In my original post in this series ( http://bit.ly/2v8mXJm ), I listed the 10 skills critical to your success as a Freelancer in the growing upheaval of the worldwide job market. Today I’m going to discuss Skill #5 Coordinating With Others. Why is Coordinating With Others So Important? First and foremost, it is the #5 critical skill employers will be looking for in Freelancers as technology continues to eliminate jobs in the coming years. When you think about it, coordinating with others is one of those things that appears to be self-evident. Yet, when I began to research this as a single subject for this blog, I found…almost nothing. This is weird, I thought. I must be doing something wrong. So I went back and changed the search criteria in every way I could think of and came up with…almost nothing. No books. No courses. No forums. Nothing. Yet this skill is listed in almost all the lists of critical skills needed for the future. Who am I to argue with the World Economic Forum? Then it dawned on me. This skill is not so much a stand-alone skill. It really is one of the qualities of great leadership. And, the Freelancers of the future need to be great leaders. They need to bring together companies, clients, departments, and other freelancers to make projects succeed. At the same time, leaders need to be followers as well. If you’re not the lead, you need to be willing to subordinate your interests to the team and the project. For, it is the project’s success that is paramount. What’s Involved in Coordinating With Others? Organize and describe the roles of others. Create directives so everyone understands their role in the project. Be able to deal with emotions. Both yours and others. Do all of these sound familiar? They should. They are all elements of great leadership. The good news is you can learn to be a great leader. Like most skills, it takes time and practice. There’s an old saying that great leaders are born, not made. The real truth is some leaders are born, but most are made. OK! 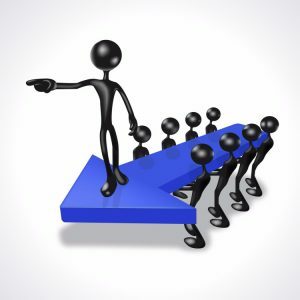 Where Can I Learn to be a Great Leader? Lots of places. For starters, if you google “Where can I learn about leadership” you’ll get about 700,000 results. One intriguing site is Learn to be a Leader ( http://bit.ly/2x8AD8q ). Here you can find a long list of sub-categories to search through.